Want wooded privacy? Here it is! Spacious one owner home w/ maintenance free stucco and brick. Large wooded lot includes half the cul de sac next to city owned lot w/ pond designated wild game area. Updated kitchen and baths. Master bedroom has 2 closets. 3 bedrooms on upper level. 17x26 lifetime sealed deck off dining room. 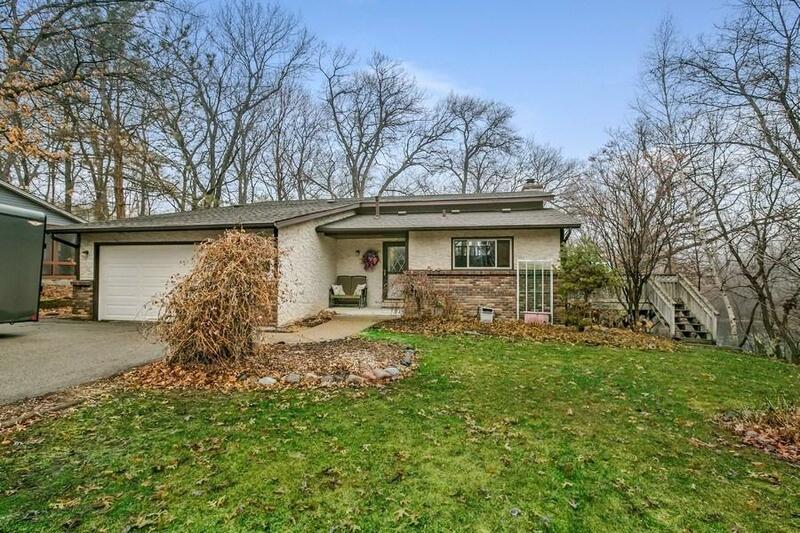 Large family room, walkout to another deck and huge bedroom w/ walk in closet on lower level. Both sliding glass doors and some windows updated. Unfinished basement/ laundry, sump and drain tiled. Roof 6 years old. Walk-able to Lebanon Hills Park/beach.